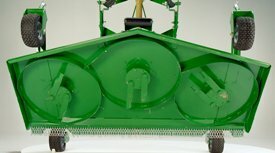 The high blade-tip speed and precise blade overlap work together to ensure exceptional strength, performance, and a quality cut when using the Frontier grooming mowers. 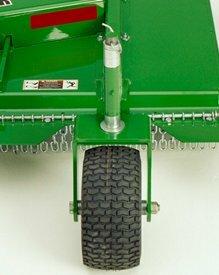 NOTE: Image shown is of GM21 Series Standard-Duty Grooming Mower. 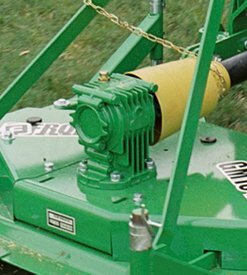 The GM21 Series Medium-Duty Grooming Mowers' stamped wheel yokes with air tires have spacers for quick and easy height adjustment. The GM11 and GM21 Series Medium-Duty Grooming Mowers have a rounded front-tapered rear deck design, allowing close mowing along trees, fences, buildings, and other obstacles. 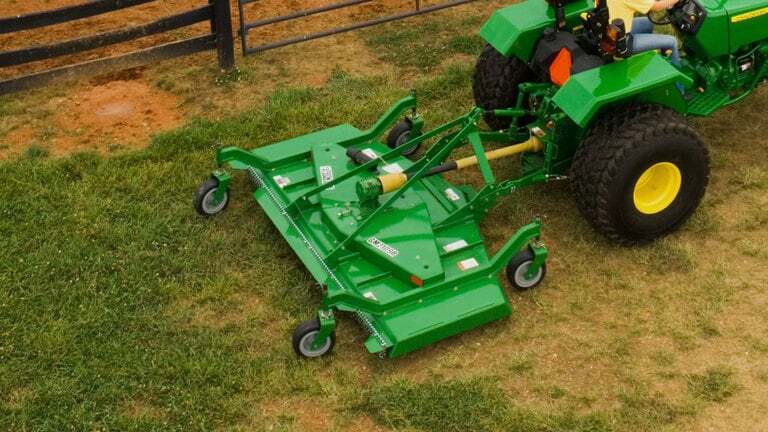 The GM11 and GM21 Series Medium-Duty Grooming Mowers comes with a 50-hp rugged gearbox. Cooling fins help extend the life of the gearbox.